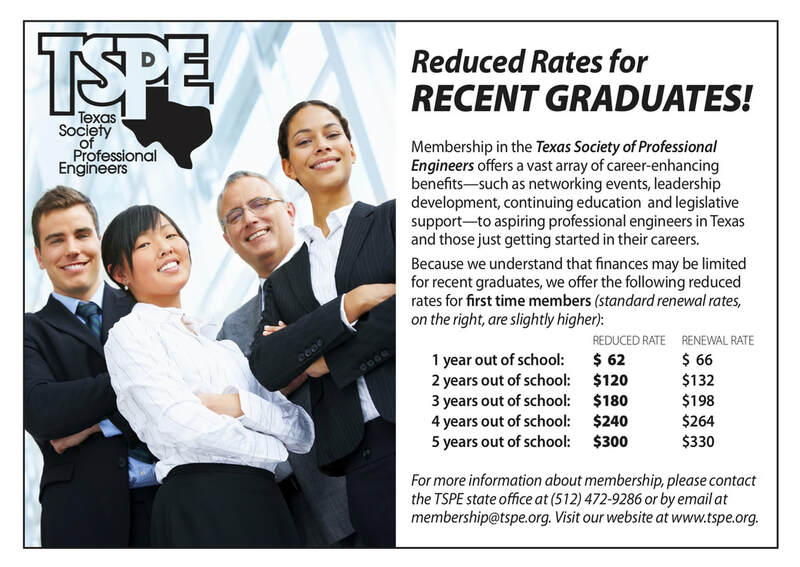 The Texas Society of Professional Engineers (TSPE) is a state society affiliated with the National Society of Professional Engineers (NSPE). The mission of TSPE is to promote the ethical, competent and licensed practice of engineering, and to enhance the professional, social and economic well being of its members. When you join TSPE, you also become a member of the NSPE as well as the Bexar Chapter. The following links provide membership information from the NSPE and TSPE websites.